Dr Shields trained at Liverpool University before working for three years at the Chelsea and Westminster Hospital GP training. 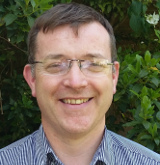 After a short time working in the Andover area he joined a GP Practice in March, Cambridgeshire. Whilst there he campaigned for the community hospital, was chair of the regional commissioning network and helped set up community ultrasound and pulmonary rehabilitation. He has an interest in psychology, respiratory disease and weight loss. Stuart’s hobbies include the army reserves, rambling, and wood work. Dr Laura Grady joined Great Staughton Surgery in August 2017 as a salaried GP. She studied at Cambridge University and completed her GP training locally. Following the birth of her baby, Dr Grady returned from maternity leave in October 2018. Dr Rakesh Modi joined Great Staughton Surgery as a Salaried GP in September 2018, from his position in London as Clinical Lead for Medicine and Lead for Evidence-Based Medicine at Queenswood Medical Practice. We occasionally employ locum GPs to help us provide good GP cover. Please look at the 'our services' section of the website for the appointments to be undertaken by Tracey. Please look at the 'our services' section of the website for the appointments to be undertaken by Candice. Receptionists provide an important link for patients with the practice and are your initial contact point for general enquiries. They can provide information on services and results, and direct you to the right person depending on your health issue or query. The team will help you if you need copies of test results, access to your online records to make appointments and order repeat medication and answer any questions you may have regarding our services. Our midwife works with the doctors to provide antenatal care, and holds clinics at the surgery on alternate Thursday mornings. Diabetic Specialist Nurse: Susan Alderman brings specialist skills to the surgery for the benefit of diabetic patients. Primary Care Mental Health Team: This is now handled by a team based at The Cavell Centre in Peterborough and the ARC team in Huntingdon (Advice and Referral Centre). GPs can refer to this service if necessary. NHS111 option 2 the First Response Service - a 24-hour service for people in a mental health crisis. This service is for anyone, of any age, living in Cambridgeshire and Peterborough. Specially-trained mental health staff will speak to you and discuss with you your mental health care needs – instead of you having to go to accident and emergency departments of local acute hospitals. Community Cancer Nurse the Surgery work closely with the team based in the Woodlands Centre, Huntingdon, and referrals can be made by talking to your Doctor. The Dietician team take referrals from the Doctors for patients with dietary problems and visits the surgery by arrangement. Chiropodist: Sue Walker holds private clinics at the surgery on Friday afternoons. Please book appointments through Reception. The Cambridgeshire Hearing Help Team can help you with hearing aid problems, and hold a quarterly drop-in clinic at the surgery. Details are available from reception notice board. Our dispensers have all completed their NVQ2 in Pharmacy Services, and attend regular training courses to update their knowledge and dispensary practices.